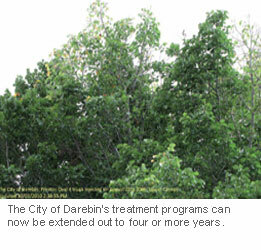 For trees affected by elm leaf beetle, it is important to employ appropriate treatments at the correct time to achieve long-term protection for your elm tree and avoid major leaf damage and serious overall decline. 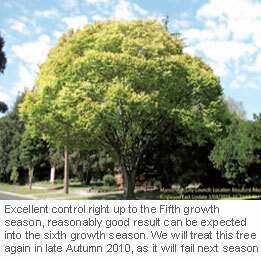 Since 1997, Elmsavers has been treating thousands of elm trees annually for councils, Government authorities and private clients, for the long-term control of the elm leaf beetle. 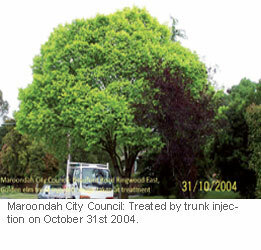 As tree injection specialists, Elmsavers offers the most advanced innovative treatment programs in the industry, pioneering year round tree injection treatments. 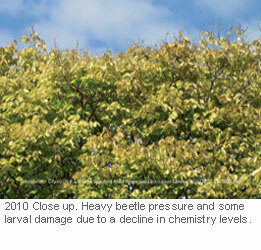 Elmsavers continues to be engaged by numerous councils to control Elm Leaf Beetle; as well as multi-species treatments for pests and diseases in Council amenity trees. 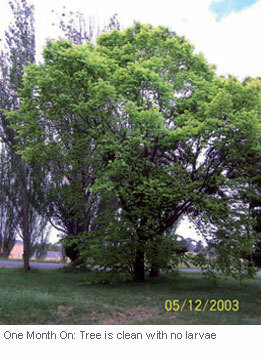 Elmsavers uses a single, tree injection treatment with effective chemistries that targets both elm leaf beetle and fruit tree borer. 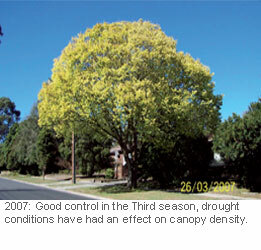 To achieve the maximum level of protection for affected trees, Elmsavers will look at the timing of treatment and treatment dosage to determine the best long-term control strategy, together with their client. 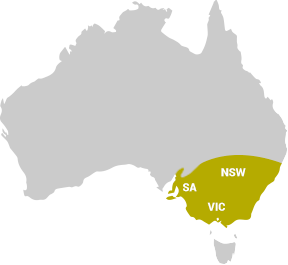 Occasionally, our trials may involve the deliberate delay of scheduled treatment, or varying dosage rates in order to calibrate the maximum level of protection over a prolonged period. 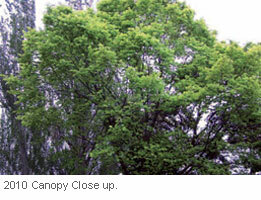 This tree is cleaner than the Beauford Road tree due to the higher levels of active ingredient. 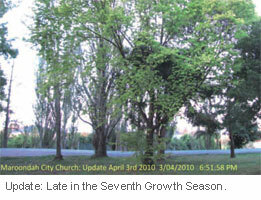 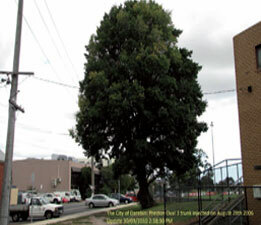 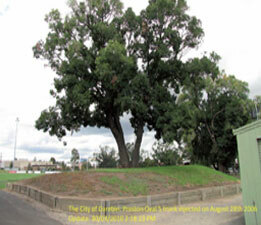 We will monitor this tree in the coming years and update accordingly. 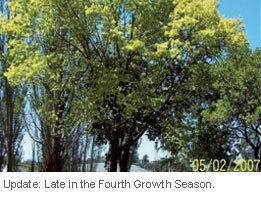 The Chemistry used during this trial is also effective against “Fruit Tree Borer”, note, imidacloprid is not. 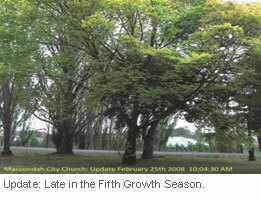 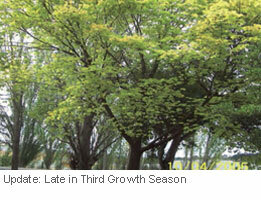 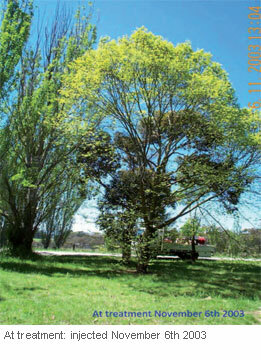 Long Term Elm Leaf Beetle Control (PDF, 3.52 Mb).